It perhaps should come as no surprise but neck pain is second only to back pain in terms of ailments we treat at Touch2Heal. Problems generally evolve around muscle spasms, muscle strains, ligament and tendon damage or physical damage to one or more of the facet joints. If you are suffering with one of these conditions then you will be relieved to know that osteopathy can be particularly effective at treating them. The majority of pure physical problems we see come from sports injuries or trauma. These accidents typically cause muscle, tendon and ligament strains as they are stretched beyond their normal range. More and more we see neck strains which result from poor posture particularly slumping at a desk or computer or whilst watching TV. We’re probably all familiar with getting a ‘cricked neck’ which can be brought on by sharp movement, sleeping awkwardly (falling asleep in a chair is a common cause) or quite simply sitting in a cold draft. 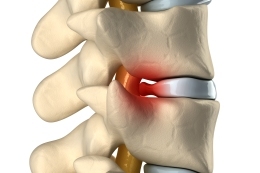 The most painful condition we treat tends to be joint facet damage, a herniated disc or wear and tear brought on by osteoarthritis (cervical spondylosis). Occasionally we encounter an overgrowth of bone in the neck known as osteophytes. These can impinge on the local nerves leading to nerve root pain and possible numbness in the arms. Because the neck and spine are so vital to our existence the body responds rapidly to any threats it perceives against them. The most common reaction is to place the muscles surrounding the threatened area into spasm effectively splinting the area, preventing further movement and therefore further damage. In fact this a common defence mechanism used throughout the body and consequentially a very common condition we treat. Unfortunately the body’s reaction, more often than not, is overkill and generally painful to boot! Often more painful than the actual injury itself. In most cases the discomfort brought on by a cricked neck is simply muscle spasm. Even the threat of a cold draft can cause the muscles to spasm. At Touch2Heal our practitioners use joint mobilisation, deep soft tissue work and acupuncture techniques to overcome your back condition. For instance in the case of muscle spasms your osteopath is adept at soft tissue work and can often release the guilty muscles from spasm providing immediate relief. If you are suffering from neck pain then arrange to see us at our clinic in Ashford, Kent. I manage to slip my disc just getting my laptop bag out of the back of my car. The pain was excrutiating and went down the back of my left leg as well. Apparently I had trapped my Sciatic nerve. Cecile was able to work the area to reduce the pressure on the nerve which made a huge difference.